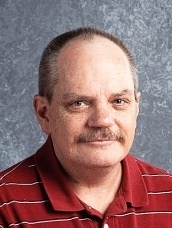 CARBONDALE—A statement issued by the USD 434 Santa Fe Trail school district Friday announced that SFT High School Principal David Swaim had died. “It is with great sadness that the district announces the passing of high school principal, David Swaim,” said the release. “Mr. Swaim’s family informed the district that he passed away Friday morning. The statement said that funeral arrangements had not yet been prepared by the family.